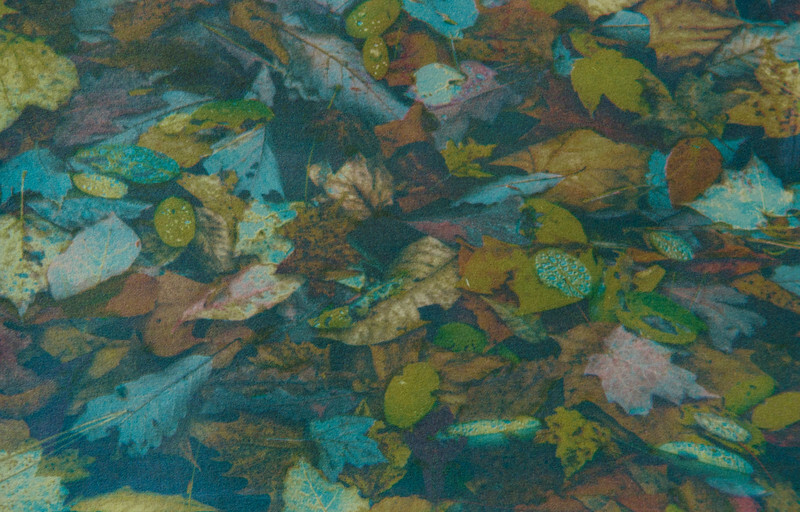 Pipestem West Virginia Fall Leaves -- A four-color gum bichromate print on watercolor paper. The image is a combination of three photographs processed using HDR (Hyper Dynamic Range) in order to increase the color saturation and tonal range of the leaves. The image was taken in Pipestem, West Virginia in 2012.